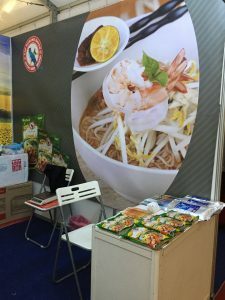 Being in MYANFOOD 2016 has been an eye-opening experience, we get to experience their cultures and beliefs, to taste their food and exposed to their differing lifestyles. 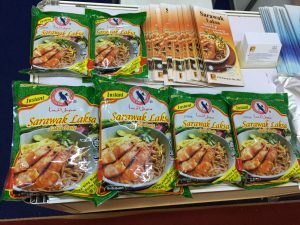 We are honored to be able to share our local delicacy, Sarawak Laksa with the people in Yangon, Myanmar. 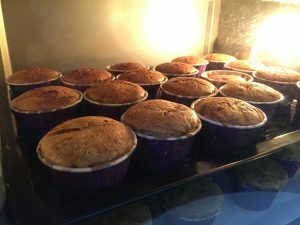 Our Special menu of the day was " Laksa Cupcake"! 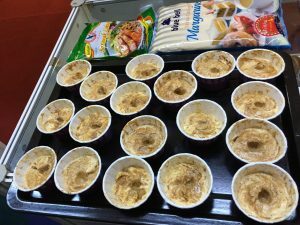 Baked and served piping hot for visitors to have a taste of our Sarawak Laksa paste. 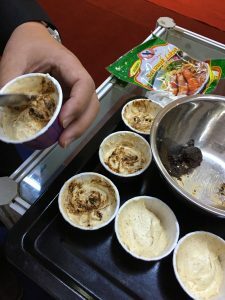 Mixing Laksa paste with cupcake batter. 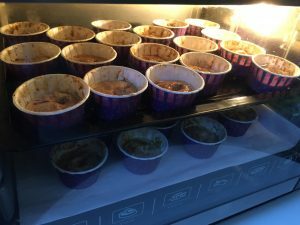 Mix only half a teaspoon of Laksa paste on top layer of cupcake batter. Voila! Freshly baked Laksa Cupcake! YUM! We want to say thanks to all our customers and potentials new ones for their support. Appreciate you all for taking the time to come to our booth and hope to meet you guys again in the next food exhibition.